Our school has wonderful facilities to enhance the provision of a stimulating and engaging education for children. The school is contained in one building which allows for secure lock up during the school day. The administration area, library and classrooms have been part of school refurbishments over recent years. 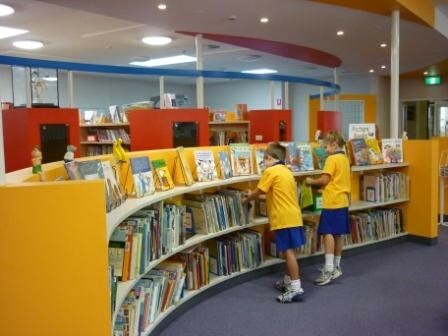 The construction of an improved physical environment has enabled the classroom to be more conducive for the students to engage in collaborative work spaces and provided opportunities for teachers to merge real-world experiences with opportunities for learners to construct and organise and create new knowledge. 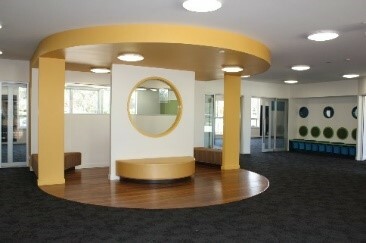 The Hall is centrally located to classrooms and regularly used by the entire school community. The school boasts extensive play areas (one undercover) for play, sport and other physical activities. The students access Aranda Playing Fields daily for recess and lunch play and sporting activities. St Vincent’s is a Sun-Smart school and adopts a vigilant approach to student safety. Our Canteen is fully accredited as a Healthy Canteen and serves nutritional food and drinks. We have an extensive student Library, fully equipped Computer Laboratory and MakerSpace room. St Vincent’s is proud to be a registered for the ACT Government-funded Physical Activity Bike program. Students are offered the opportunity one lunchtime a week to go on a bike ride. The Parish Church is adjacent to the school and only a short walking distance from the school.